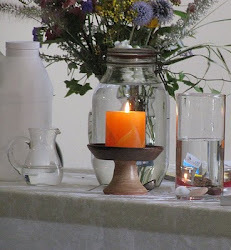 UU A Way Of Life: Where is truth and meaning located? Where is truth and meaning located? Unitarian Universalists covenant together to affirm and promote a free and responsible search for truth and meaning. What is the truth and meaning that they seek? Where is it to be found? Where will the vision quest take them? The sages tell us that truth and meaning is not external to us, but deep within us. If we are to seek truth and meaning we should look within not without. There are illusions and then there is truth. When it comes to illusions how can one discern truth among them? One illusion is no different in form and any other. The only difference is content. Seeking and finding truth requires a shift to a whole other level. This shift is what A Course In Miracles calls a "miracle." The 44th of 50 principles of Miracles is "The miracle is an expression of an inner awareness of Christ and the acceptance of His Atonement." This awareness is a huge thing of which all human beings are capable. We all have the potential of achieving this awareness. 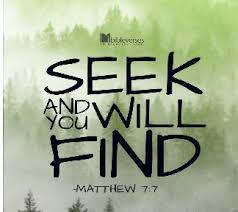 As Jesus says, "Seek and you will find. Knock and it will be open to you." However so few people are seeking and without the intention the finding is unlikely to happen unless there is a moment of grace to which the person is open to accepting. If you are reading this, it may be accurate to assume that you are a seeker too. Thank you for your intention and effort. Together we become The Christ and we join in the At-One-Ment. Welcome. "We have not lost anything. God is not lost and hence has not to be found. We have only forgotten; it is just a question of remembrance. 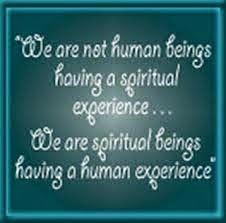 It is there in the deepest core of our being. Call it truth, God, bliss, beauty: all those things indicate the same phenomenon. There is something eternal in our beings, something immortal, something divine.